2016 is turning out to be one of the finest years for advanced technology. 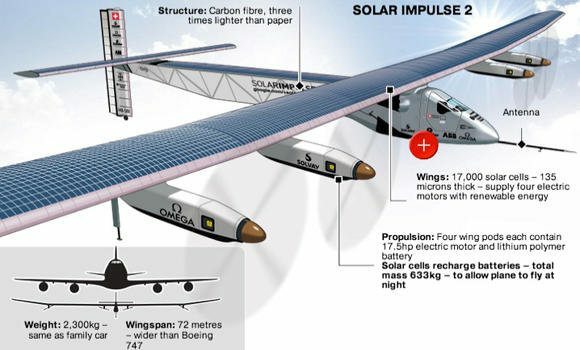 One such example is the Solar Impulse flight ( aka Solar Plane ) which completed the final leg of its journey on 26th of July. The plane touched down in Abu Dhabi today and is making rounds all over the world and social media. 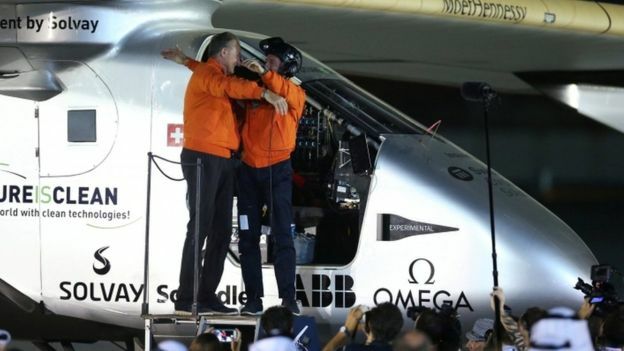 Pilots Bertrand Piccard and Andre Borschberg are sharing their journey’s success, hailing it as a triumph for renewable energy. It’s because the project used nothing but solar energy to circumnavigate the planet. The trip marks the end of a successful run which started as early as 9th of March in 2015. 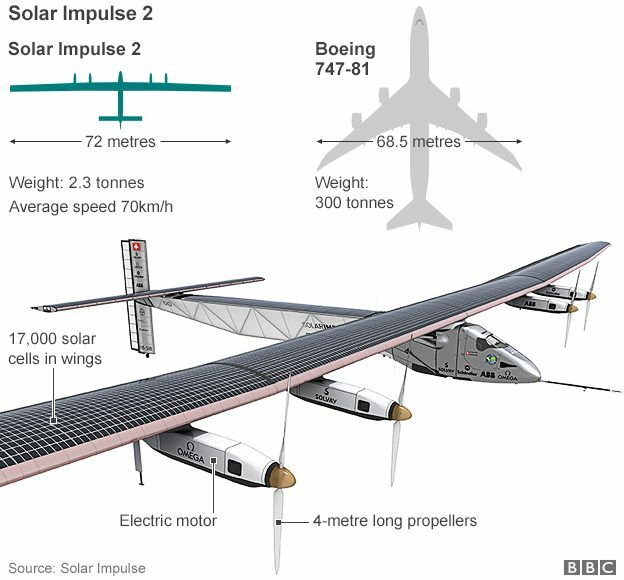 “I hope people will understand that it is not just a first in the history of aviation, but also a first in the history of energy,” he said. “The future is clean. It[The future] is you. It[The future] is now. Let’s take it further,” Mr Piccard exclaimed. Greeted with cheers and applause on landing, he was relieved to return in one piece. But the team revealed that it’s no rocket science. The entire project spanned four continents, three seas and two oceans. It was split up into seventeen stages. But the biggest feat remains the 8,924km flight from Nagoya in Japan to Hawaii, US. It took nearly 118 hours and broke the world record for longest (time duration) uninterrupted solo flight. And this is just one of the nineteen official records broken during the entire journey. The plane may be as heavy as a standard sedan but it boasts the wingspan of a Boeing 747. If there’s any hiccup regarding its efficiency, it’s the 17,000 solar cells. The cockpit is no bigger than a public bathroom and is vulnerable to bad weather conditions. The pilots used oxygen tanks at high altitudes. They could only sleep for around twenty minutes to switch flight schedules. And to prevent the onset of any complications, a sixty person support team was always available for its maintenance. Interestingly, it used lithium batteries which stored energy during the day facilitating night flights. But the need for appropriate weather and the disrupted pit-stop it made during its Egypt flight has raised some questions. The manufacturer is now in talks to take this to a commercial level. 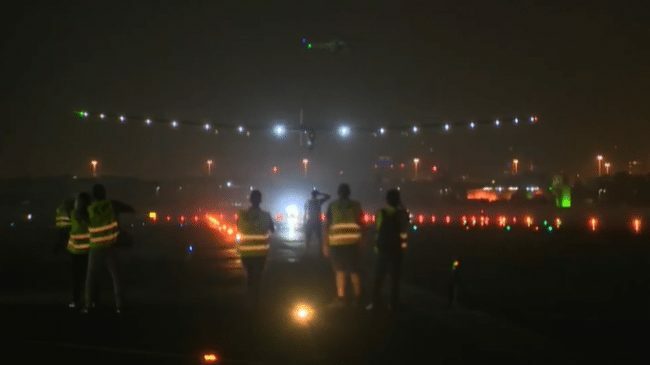 But the plane only lands at night since winds are usually lower and also avoids periods when commercial flights are operating due to its long wingspan. 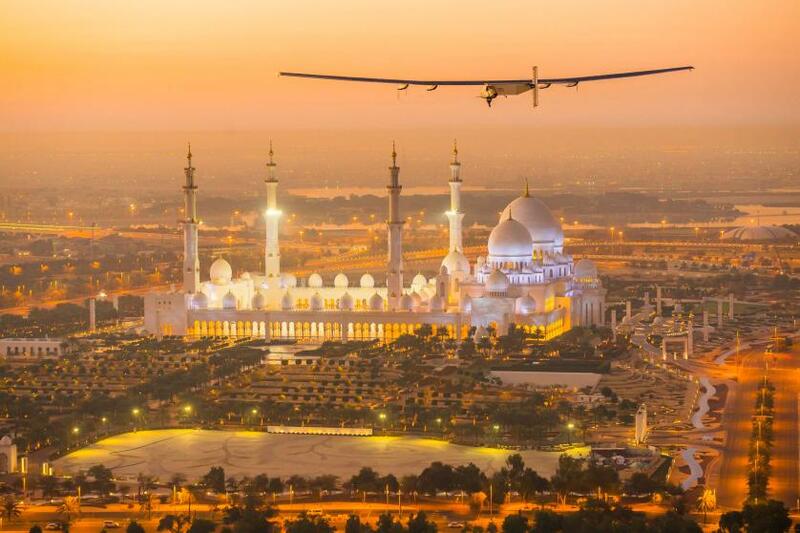 This isn’t the first time that solar power fueled a flying vehicle. In the 1970s, AstroFlight developed an unmanned called the AstroFlight Sunrise. It flew over a military reservation in California after four years of development. It’s light weight also isn’t suitable for heavier commercial planes. Nevertheless, it’s a tremendous achievement for science and technology. Found the above article saucy and want some more? Then share, subscribe and leave a comment for more saucy content.